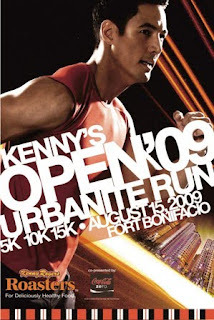 Almost a month after my last race in the Run for Home sponsored by Globe and Ayala Land Inc., here's another much awaited event the Kenny's Open Urbanite run which will be held on Saturday (Aug 15). Proceeds will be donated to Hands On Manila and 57-75 movement. 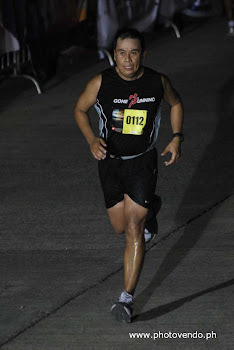 I was glad that I have recuperated with my ITB injury and was able to start running since last week. I am looking forward for a comfortable run this coming saturday and enjoy the event. I just hope to finish the race without any injury. We in the Gone Running Club supports the cause of this event and I am glad to say that we were able to invite new friends who enjoys running to be part of the group and join the running events. As we support the Kenny's event, the group will also Run Against Corruption as part of our Advocacy. The runs that we made this week condemns the lavish dinner that was enjoyed by our political leaders, whom I believe should have been sensitive with the current situation in our Country. The Kenny's Urbanite event would be a new experience for some runners including me as this will be a night race (most of the races are held in the morning of sundays). I have been running at nights this past week and I hope that helps with the night environment. Good luck to all runners on saturday and thank you in advance for the organizers and sponsors of this event. Run safely!